Everbright, the toy for creativity & engagement by Hero Design. Measures 46 inches high, 93 inches long, and 5 inches deep. 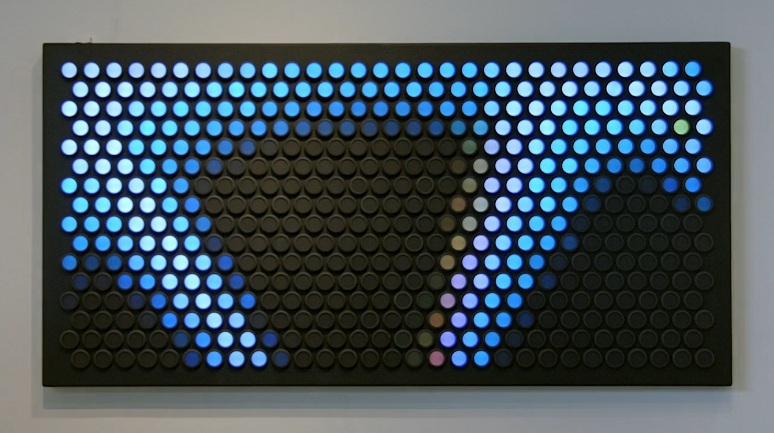 464 color dials, each capable of producing any color in the rainbow.